How to See Your Pageviews, and More! - Oak Park-River Forest Chamber of Commerce, IL ? Having a robust Member Info Page is a must if you want to take full advantage of being a member of the Chamber. This is the page that your potential customers will see when they search for you through the directory or a search engine. They’ll be able to access your contact info, a map to your business, your business profile, see some photos and videos and there’s even a button to get to your company website. But how do you know if people are actually searching and finding you? 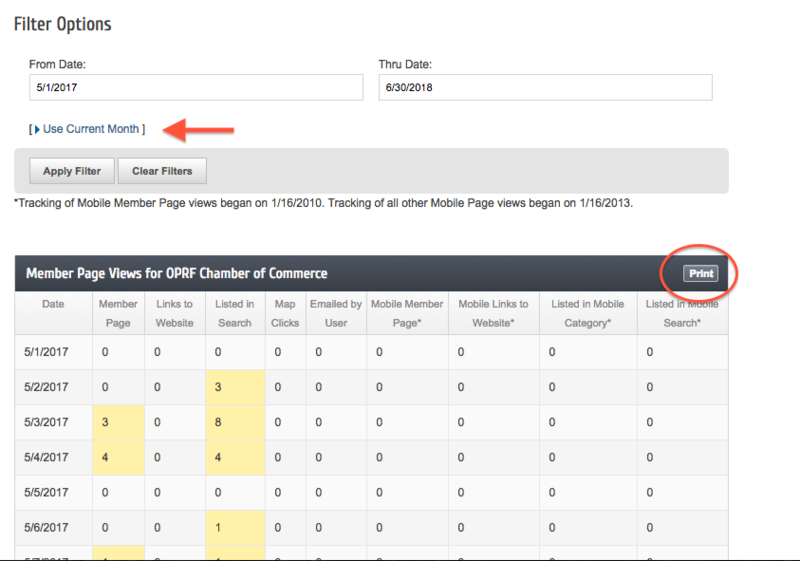 Well, one of the best things about the Chamber website is that you are able to see how many people are visiting your page or finding you in the directory in a given time frame. Head over to the Chamber website and click on the Member Login at the top of the page. This will take you to your Member Home page where you can do a variety of things: update your personal info, your company info, view Hot Deals and much more. 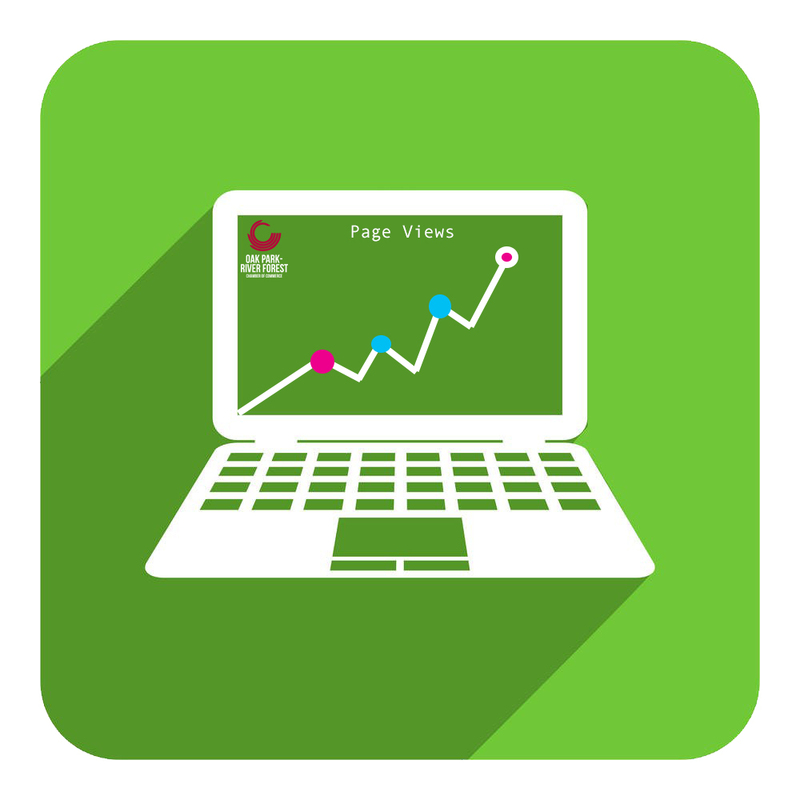 For right now we are going to focus on how to see your page statistics. 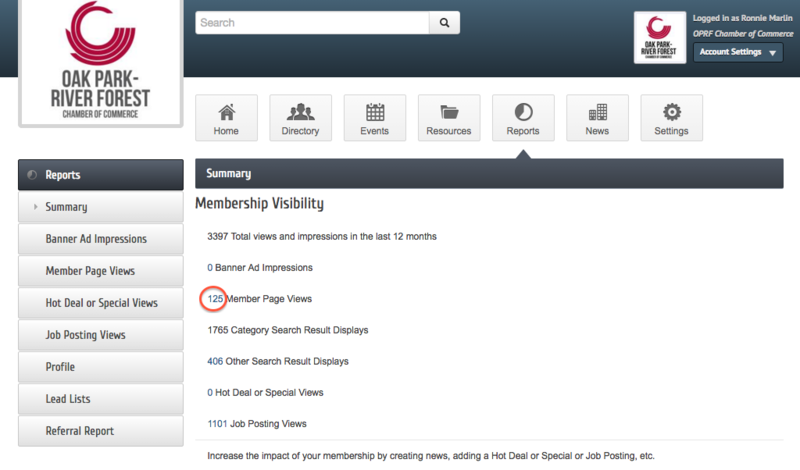 Along the menu buttons click on Reports, this will take you to a summary of all your Membership Visibility. This shows your total views and impressions for the last 12 months, Banner Ad Impressions (if you’ve purchased banner space), your Member Page views, Category Search Result Display, and more. 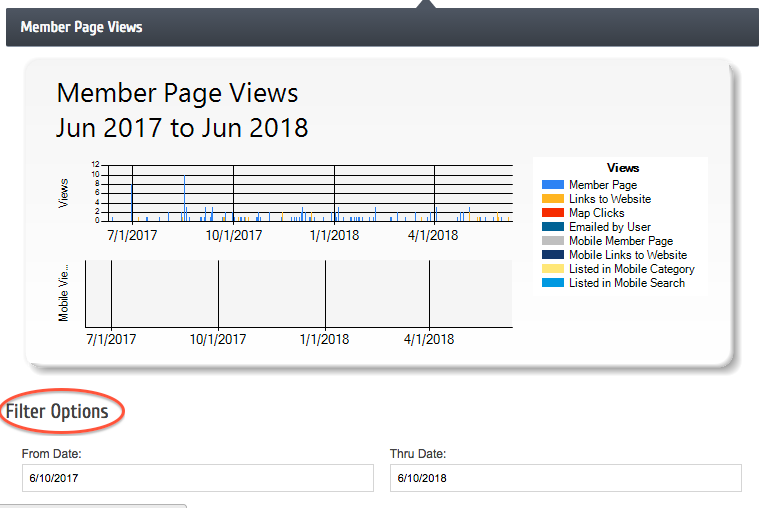 If you click on the number preceding your Member Page Views it will take you to a graph of how many page views have happened in the last 12 months. However, you can shorten the time frame by going to Filter Options and entering specific dates. Don’t forget to hit the Apply Filter button. If you want to just see the current month, hit Use Current Month and Apply Filter. By scrolling down, you can see a numbered graph of all of your statistics day by day. You can view your Member Page hits, how many people have clicked on your company’s website, your Listed in Search clicks, how many people have clicked on your company’s location via the map and more. If you would like to print out all the information to view offline, hit the Print button on the right and this will take you to your printer options. There’s a ton of information you can access. Don’t forget, the more information you have at your disposal the better you can tweak your brand awareness and messaging to attract the customers you desire.